19 3/4" overall. 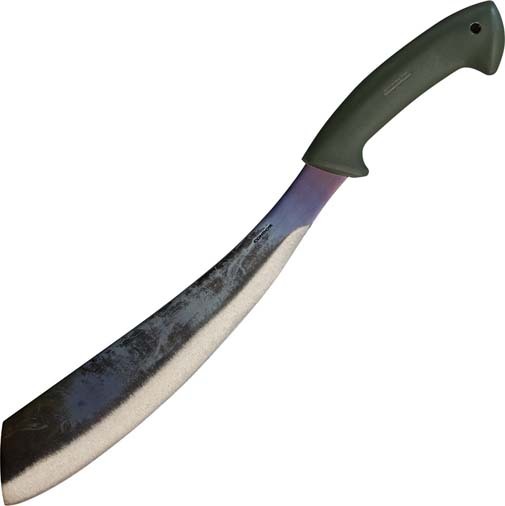 13" 1075 high carbon steel blade with natural finish. Molded olive green high impact polypropylene handle. Lanyard hole. Black nylon belt sheath with cord lanyard.